The extension to the DVS® SSC series is the latest addition to Chr. Hansen’s soft cheese starter culture range. The product series now consists of four cultures and is designed to create soft cheese with a mild flavor and a creamy mouthfeel. In traditional soft cheese markets, millennial consumers seek cheese with a milder taste1 and a more aesthetic look2. Opportunities for export to new markets are also growing, meaning that flavor and texture needs to stay constant throughout a longer shelf life. 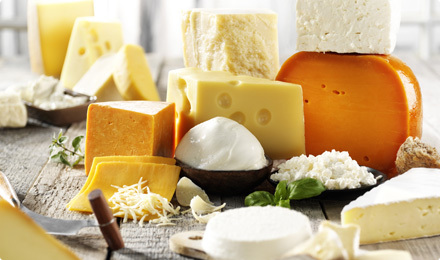 Soft cheeses offer wide diversity in visual appearance and taste that can be achieved when starter cultures are combined with surface ripening cultures. During the first stage in cheese making, milk sugar is fermented into lactic acid using a starter culture. This is where cheesemakers can use DVS® SSC to craft flavor profiles that stay delicious and mild throughout storage. This is made possible by the careful selection of streptococcus thermophilus strains that support the low degradation of milk proteins and milk fat. The four robust cultures within the DVS® SSC series are carefully characterized and selected from 30,000 strains to ensure consistent performance. The system comprises of multiple strains in each culture and four cultures for rotation, which secures the right level of dry matter, stable end-pH and strong phage robustness. Chr. Hansen has helped cheesemakers to reach new levels of craftsmanship since 1874. Now soft cheese cheesemakers can benefit from the range of effective starter culture systems, each offering different and specific benefits. © 2016-2019 okchem.com. All Rights Reserved.